Do you often suffer from headaches, painful joints, lethargy, fatigue, weakness and brain fog? Does your skin look old and lifeless, and does your hair appear thin and dull? Does your breath smell offensive and you are gaining weight like crazy? If you answered “yes” to all of the questions above, you may have tons of toxins within you that need to get eliminated pronto in order to enjoy optimum wellbeing. All of the side effects and complications of having lots of poisonous substances accumulated in the body can wreak havoc to your health and keep you from living to the fullest. Fortunately, you don’t really have to go through all sorts of fancy and often super challenging detoxification diets just to have your body purified. You are actually armed with various organs of elimination — your skin, lungs, intestines, kidneys and liver — that carry out the task of neutralizing and sweeping out substances that should not be in your bloodstream and the rest of your system. What these organs need is just a little help from you so that they may carry out their tasks more effectively and rid you of anything that can be detrimental for your health. Step #1: Consume Whole and Organic FoodsIf you want to rid your body of toxins, then quit flooding it with poisonous substances. There are many ways through which harmful chemicals get into your body, and one of them is through your mouth. By opting for organically made or produced food products, you are keeping your organs of elimination from doing more tasks than they could handle. 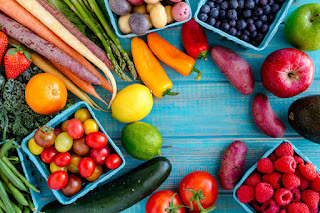 It’s true that fruits and vegetables free of pesticides, fertilizers and other damaging substances cost a little more, but they can lower your risk of steep medical expenses in the long run. Step #2: Attain a More Alkaline Environment WithinExperts say that your body should stay within a pH range of 7.35 to 7.45 which is alkaline. Experts link inflammation to a host of maladies, from something as simple to fatigue to something as life-threatening as obesity or cancer. To maintain proper alkaline environment within, it is a good idea to load up of fresh produce. Steer clear of acid-forming foods that are processed and served at your favorite fast food joint. Step #3: Exercise on a Regular BasisEveryone knows that exercising is good for the heart and it also keeps unwanted pounds at bay. Did you know that exercising also helps zap those toxins within you? Your skin is one of your many organs of elimination, and sweating can help flush out harmful chemicals trapped in the body. Walking, jogging, bicycling, dancing and playing badminton are some great examples of toxin-busting exercises. Step #4: Carefully Mind What You Apply All Over Your BodyBecause your skin is a semi-permeable organ, it can actually absorb certain chemicals that you apply on it. Dangerous ones can reach your bloodstream and have easy access to your different vital organs. This is the reason why opting for all-natural and organic shampoos, soaps, lotions, make ups and other cosmetic products is a wonderful idea. Purchasing and using them saves your body from absorbing chemicals that may cause various problems in the long run. Step #5: Make Your Home Poison-FreeAside from the products you apply on your body, it’s also very important to mind what you use for cleaning, deodorizing and beautifying your home. Some of the chemicals that can wreak havoc to your health are actually lurking in dishwashing liquids, cleansers, air fresheners, floor polishers and many others. Before placing any household product in your shopping cart, make it a habit to carefully read the label, in particular the list of ingredients.